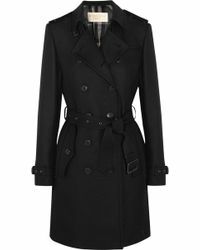 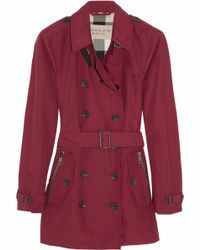 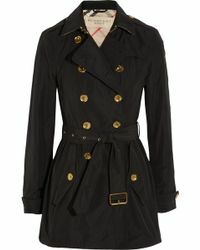 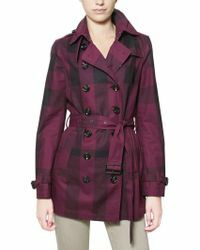 An iconic fashion item, a Burberry Brit trench coat should be a staple of any style-conscious woman's wardrobe. 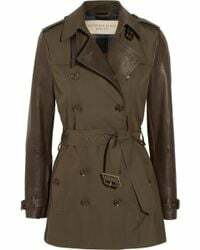 Crafted from showerproof cotton made to resist even the worst British weather, this heritage classic is instantly recognisable by its close cut, double-breasted front and check lining. 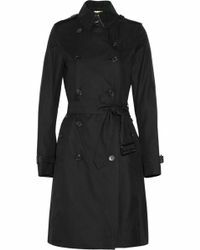 Available in a variety of different shades from pillarbox red to navy blue and classic camel, each coat is complete with a waist belt. 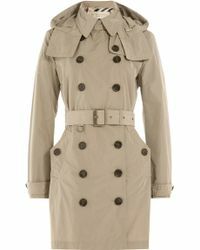 Wear your Burberry trench over everything from mini dresses to jumpsuits and channel British style as its best.